If you're on a mission for a casual yet chic outfit, reach for a black fringe blazer and a black slit leather pencil skirt. Both items are totally comfy and will look fabulous paired together. Sporting a pair of Badgley Mischka ginny embellished dorsay pump is an easy way to add extra flair to your ensemble. If it's comfort and functionality that you're looking for in an outfit, consider wearing a silver sweater dress. 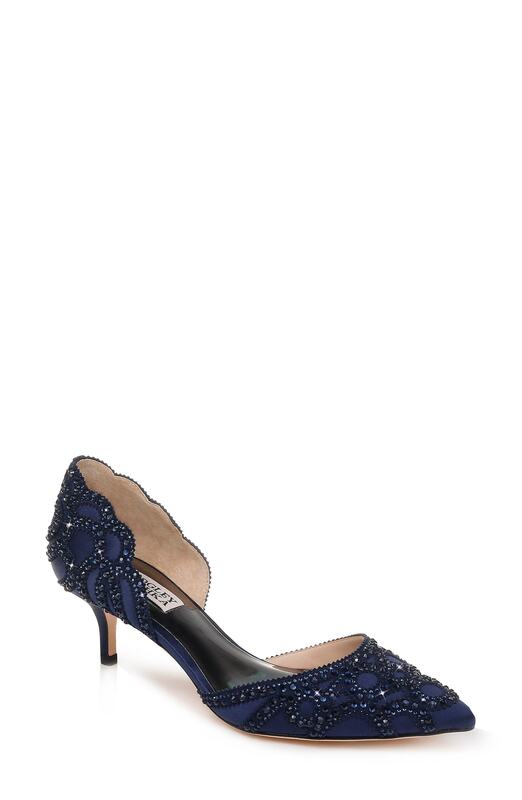 Badgley Mischka ginny embellished dorsay pump complement this getup quite well.